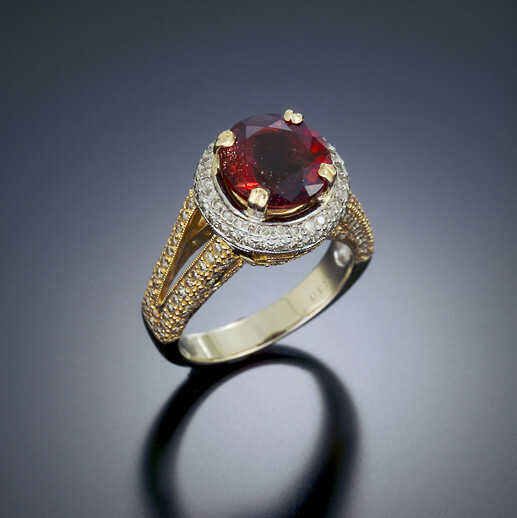 4.5 Caret deep red with diamonds. Set in Gold. Gift to Norma Talley.